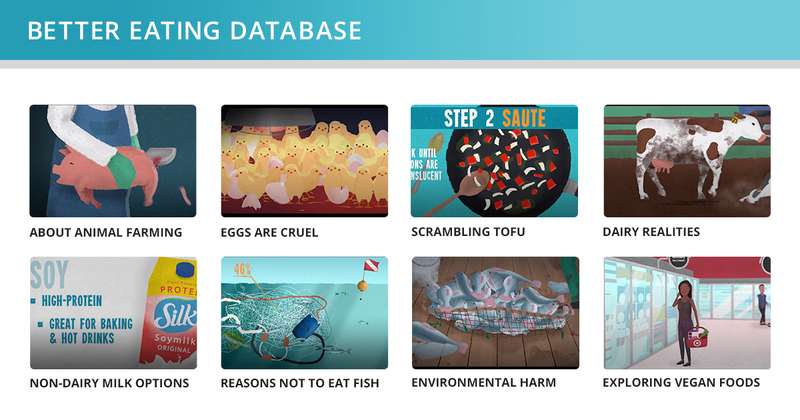 2018 was the first fully operational year for Better Eating International, a US-based 501(c)3 nonprofit organization which seeks to inspire compassion for animals through inclusive and empowering digital education. Our efforts to move people towards vegan eating lay the foundation for a future where animals are valued as unique individuals and no longer exploited for human gain. With a diverse and talented team armed with the latest technologies, generously supported by volunteers and donors like you, we’re empowering people with the knowledge and tools they’ll need to live more ethically. We are excited to report that in 2018 we launched a complete educational series, delivered this content to hundreds of thousands of people, conducted audience research that will guide vegan efforts for years to come, and helped build a stronger and more equitable animal rights movement! Our flagship program is the creation of short animated PSAs about the why’s and how’s of vegan eating, with considerations toward the unique experiences of various audiences. As proof of concept, we began with an audience we are already familiar with: lacto-ovo vegetarians under 35 years of age. This audience was an ideal starting point for several reasons. For starters, they are easily identifiable online, they have already taken a major step to help animals, and they are unlikely to object to our content. With this receptive audience, we have been able to explore the capabilities of our targeted, sequential messaging model in great detail. Additionally, eggs and dairy are particularly exploitative. While there are several groups that work to encourage omnivores to eat vegetarian, these efforts overlook that eggs cause more harm per calorie than almost any other animal product, while the dairy industry causes more long-term suffering per animal and is a leading cause of environmental damage. Finally, vegans drive change for animals. While it’s undoubtedly a good thing when people become vegetarian, researchers have found that the strength of their belief in animal rights is significantly weaker when compared to vegans. The whole series, which is being delivered as 30-second sequential online ads, is available to watch here. The videos are airing on video platforms across the internet as “pre-roll” advertisements. 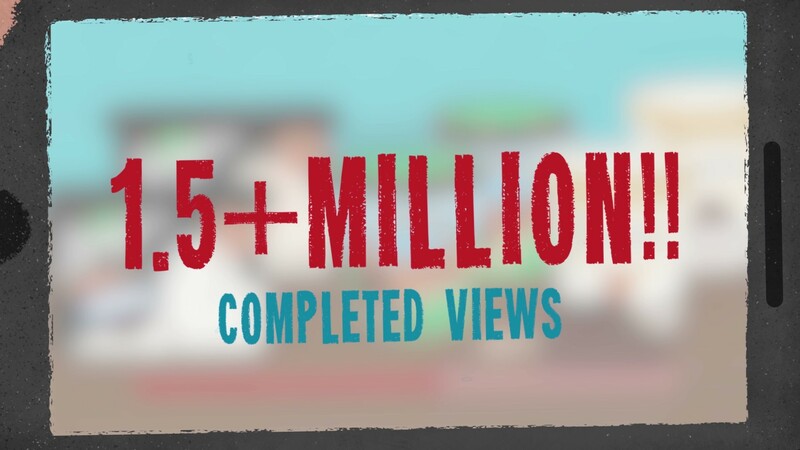 In just a few months, they have already garnered about 1.5 million completed 30-second views from over 300,000 unique people, about 60,000 of whom have continued through our series to watch 5 or more videos. The total cost of getting a viewer through 3+ minutes of content (including the cost of viewers who didn’t make it that far) was below $0.50, with each individual 30-second completion only costing about $0.03! Early results suggest that the content is persuasive. We have talked with new supporters at festivals who approached our staff explicitly telling us they’ve gone vegan from these videos and heard the same from people in our Facebook group. It’s been too early to accurately gauge the scale of the impact, especially because click-throughs are famously low with pre-roll video ads. We’re exploring new services which will allow us to: be more responsive in making changes based on how the videos are performing; run additional ad variations maximized for website click-throughs instead of completed views; and reach people again later with new videos, content relevant to their location, impact surveys (to both past viewers and “control” non-viewers), and more. We launched a vegan support website, Your Guide to Better Eating, to complement the “From Vegetarian to Vegan” ad campaign. In addition to recipes, easily veganizable items at popular restaurant chains, and a categorized listing of vegan replacement items the website includes personalized features such as live chat support, where staff and volunteers are able to answer questions from visitors about moving toward vegan eating! Additionally, our website directs visitors toward the peer support we offer in our Better Eating Community on Facebook. Excitingly, we are also one of the three nonprofits selected to work with Product for Good this year (a project by software company Philosophie). Participants work with mentors and nonprofit organizations to develop a finished web app over a six-week period. Better Eating and Product for Good are working together to build a web app intended to make learning about and finding vegan products easier than ever before. While this will initially be a web app, this project lays all groundwork for a mobile app down the line! In early Spring 2018, Better Eating was awarded a grant by the Open Philanthropy Project toward the most ambitious market segmentation survey ever conducted by animal advocates. The study will help the farmed animal movement better understand and address the unique needs of various young audiences, with a particular focus on people from historically underserved communities. The research has been conducted and analyzed by Mozaic Group, a full-service market research company, and overseen by Dr. Steven Struhl, who has a decades-long career in market research at Harris Interactive, and who has written some of the most definitive texts on audience segmentation and predictive algorithms. With 6,000 US-based participants, weighted to obtain statistically significant information within multiple variables (race, gender, region, interests, and more), this research will help us match the sophisticated marketing prowess of major corporations and successful public health initiatives. A preliminary look into the main findings indicates that US-based millennials fall into 8 segments related to their views on healthy eating, animal rights, sustainability, and the role that personal choices play in building a better world. A detailed report, including the survey’s raw data, will be made available to the public in 2019. Better Eating publicized this statement after several movement leaders were accused of sexual harassment and assault, and finalized a policy that explicitly defines behavior expectations, specifies multiple avenues for reporting complaints, and establishes clear protocols for handling violations. We believe our progressive stance on these matters is helping build a safer and more equitable movement. 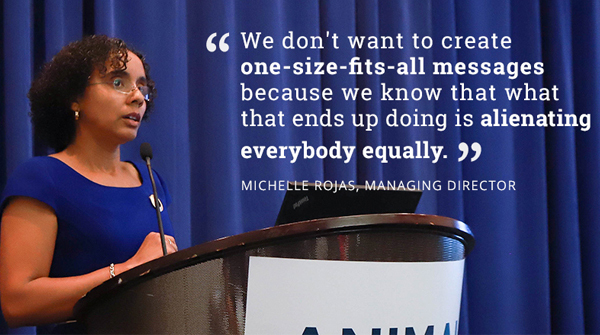 Our Managing Director, Michelle Rojas, presented a talk on “The Power of Data” at AR2018 which introduced our segmentation study results and “From Vegetarian to Vegan” series, and also explained how surveying can be used to better understand the needs of historically overlooked communities. The presentation exemplified Better Eating’s efforts to ensure that our commitments to justice and evidence-based programming support each other rather than exist in tension. Michelle has also served as a founding member of the Gender Equity in Animal Rights (GEAR) committee, where representatives from various organizations and individuals within our movement are working together for the benefit of all movement participants. Better Eating strives for strong, progressive governance and ethics practices that far exceed what is often expected from new and smaller nonprofits. Through our detailed governance protocols, our independent Board of Directors, and our diverse, talented staff, we believe we have built a strong organizational platform for Better Eating to thrive going forward. Our core team has remained unchanged for nearly two years since officially launching. 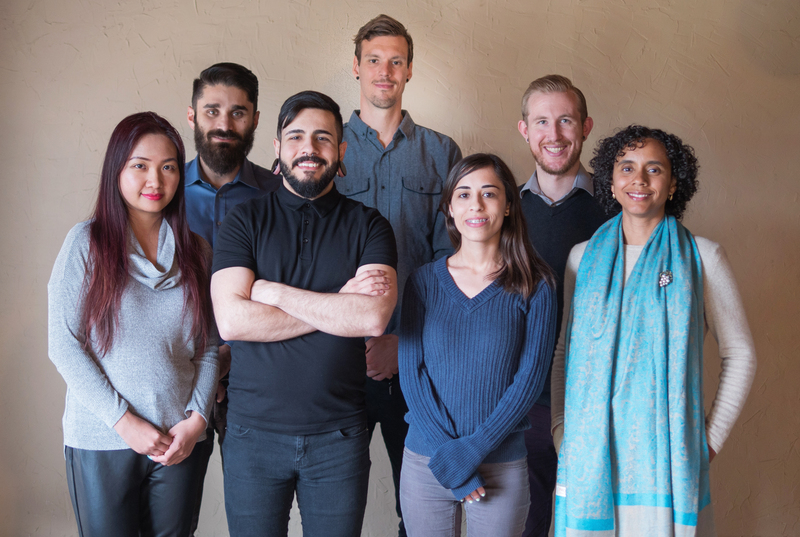 From left to right: Lead Designer Luuly Truong, Program Director Alex Felsinger, Sound Engineer Sina Youssefzadeh, Lead Animator Thomas van den Heuvel, Community Manager Jessica Giglio, Strategic Director Michael Webermann, and Managing Director Michelle Rojas. The organization was intentionally designed with an equitable structure: rather than a single Executive Director, our three-person Leadership Team shares executive duties, works mostly on a consensus basis and reports directly to the board. Full-time staffers, including members of the Leadership Team, are prohibited from serving on the Board of Directors. To ensure the staff’s interests are represented, one board member is elected annually by the staff as Staff Liaison, who considers recommendations from the staff before voting on major issues. Our team is proud to be mostly people of color, first- and second-generation immigrants, and women. With this diversity of perspectives in positions of power, we are confident that we are building an organization that protects and represents the interests of everyone involved. Better Eating is a US-based 501(c)(3) nonprofit organization, EIN 81-4124366. Our Fiscal Year 2018 budget (October 1, 2017 – September 30, 2018) was $469,170, 60% of which went toward program research and implementation. We spent the year investing heavily in the development of our illustration and video library. As we create new videos in 2019, we will pull from the database of existing illustrations, drastically reducing production time for subsequent video series. We are also expecting that content distribution will grow substantially and that we will initiate a more rigorous evaluation program. 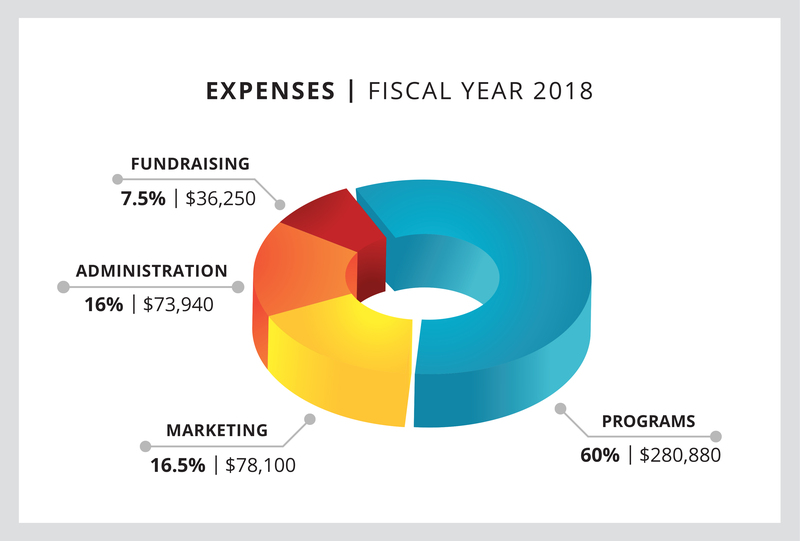 We project that over 67% of our annual budget will go toward Program activities in Fiscal Year 2019 (which began October 1, 2018). 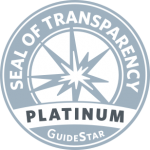 We are proud to be designated as a GuideStar 2018 Platinum organization for “demonstrating a commitment to transparency,” including publicizing a breakdown of our program metrics, board and staff, finances, and more. Our externally reviewed form 990 is publicly available here to those without a GuideStar account. We anticipate a very productive 2019, with substantial expansion of our vegan education program, continued participation and leadership in movement-wide capacity building, and increased diversification of our funding sources. We thank all of our staff, Board of Directors, advisers, and of course our generous supporters – your enthusiasm and dedication empowers us to continue shifting societal norms about animals, food and the impact of our personal choices.